For this organ that supports the British Constitution, there could be no other title to today’s article. However, that is not to say that this organ or many of its readers do not have concerns about HRH. The concerns of many readers will of course be focused on HRH’s views on the environment. Reports that HRH had made private communication to Mr Blair about bring back grammar schools have annoyed many on the left of British politics but may not raise too many feathers with the majority of this organ’s readers. The important thing to note about HRH and the expression of his views is that those “political” views should always be expressed privately and not in public. To do otherwise brings the Royal family into the political arena – something that contradicts the whole idea of a constitutional monarchy. Today, we now have a situation that HRH’s views about major areas of public policy are well known. Indeed, most British People will be more familiar with HRH’s views on the environment that those of their local councillor. This is not a satisfactory state of affairs. What is most important is for this country to have a Royal family whose members are seen to be outside the political arena. Of course, this situation with HRH has developed over a long period of time. It started off with HRH making public statements on areas which he and his advisers – as well as many in the political establishment at the time – did not regard as party political. Over the years however his views on wind turbines and other aspects of the “green agenda” have indeed become the stuff of political debate. And heated debate at that. The British Gazette therefore feels that the time has come to consider the position of HRH in respect of the British monarchy. This organ feels that at present no action should be undertaken or decisions made but would suggest that consideration be given and plans made for the time when HRH the Duke of Edinburgh departs this Earth – an event all want not to happen for a very long period of time. Notwithstanding the fact that this organ and we assume all it’s readers wish a very long life to the Duke of Edinburgh, the fact is that he was born on 10th June 1921. In seven years time we hope he will receive a telegram from his wife. The significance of the Duke of Edinburgh’s passing will be this: his eldest son will inherit the Duke’s titles and become the 2nd Duke of Edinburgh, 2nd Earl of and Merioneth and 2nd Baron Greenwich. The British Gazette suggests that following this consideration should be given to bypassing the new 2nd Duke of Edinburgh insofar as succession to the throne is concerned. This of course will require the agreement of the other realms and legislation in all of them to bring it about. The legislation would cause the Duke of Cambridge to succeed to his father’s titles and the entailed estate (the Duchy of Cornwall) before death. The advantage of this for the British monarchy is that the Duke and Duchess of Cambridge are a young couple with the energy and stamina to undertake the Royal duties of King and Queen. The Cambridges are unencumbered by political controversy and this bypass would prove popular with the British People. This bypass will bring about a solution to the problem of HRH the Duchess of Cornwall – a lady still not referred to as the Princess of Wales – who is still not regarded by many British people as a Queen they would want. This of course begs the question of what should happen to HRH the 2nd Duke of Edinburgh and his wife, the Duchess of Edinburgh. The British Gazette would venture to suggest that as 2nd Duke of Edinburgh, Letters Patent could be issued appointing him as Viceroy and Governor-General of one of the dominions, most probably Canada. Such Letters Patent would appoint him to the office for life – or for as long as he wishes. 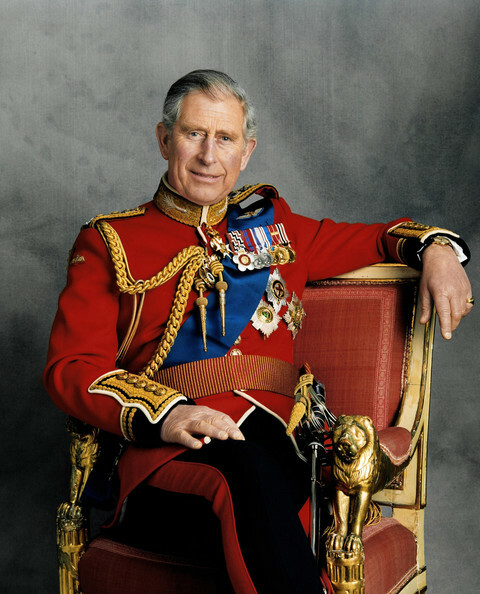 The advantage of this arrangement is that Prince Charles would finally be a head of state in all but name and at an age where he will still have sufficient vigour and stamina to properly undertake the role. His succession to the Royal Dukedom will give him and his consort a suitable title which together with the princely status and qualification, HRH will afford a proper dignity. Of course this would require the agreement of the Canadians. The British Gazette respectfully suggests to Canadians that this arrangement affords advantages to Canada, particularly in it’s relationship with it’s neighbour the USA.